Saturday, April 20 – Hit the $100,000 Guaranteed All-Stakes Pick 4 to Win! Join us Saturday, April 20 for the $1 Million Charles Town Classic, a premier race for older horses in the mid-Atlantic. Charles Town has a Jackpot Pick 6 Mandatory Payout on ‘Classic Day (Races 8 – 13), as well as a $100,000 Guaranteed All-Stakes Pick 4 (Races 9 – 12). Hit that All-Stakes Pick 4 to Split 1 Million XB Rewards Points! The $100,000 Guaranteed All-Stakes Pick 4 covers races 9 - 12. Log In and register. Registration opens Thursday, April 18. Registration is free, but you must be an Xpressbet customer to be eligible. If you don’t have an Xpressbet account, Sign Up today and receive a $500, $100 or $20 Bonus. 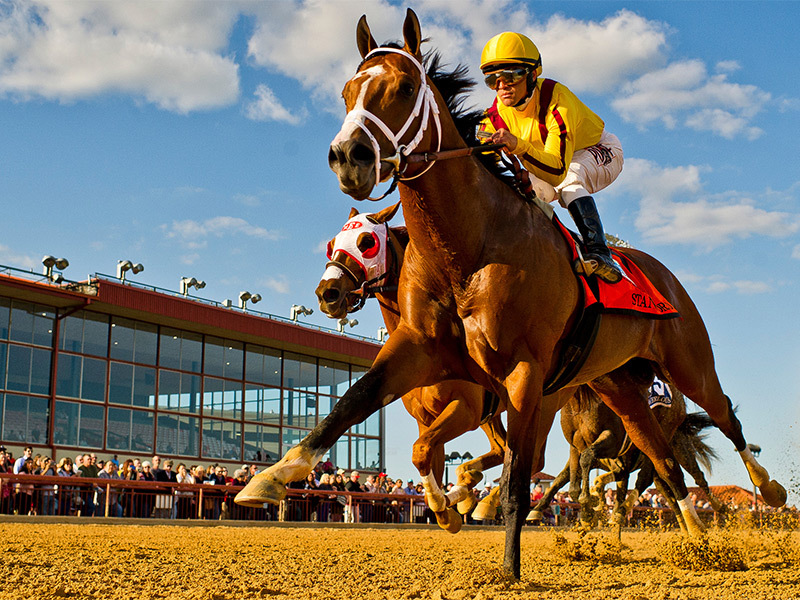 Make a winning bet on Charles Town’s $100,000 Guaranteed All-Stakes Pick 4 (races 9 - 12) on Charles Town Classic Day, Saturday, April 20, 2019, to Split 1 Million XB Rewards Points. Points are evenly distributed among all players who placed a winning wager with Xpressbet. Points will be deposited into winners’ accounts by 5:00PM ET on Tuesday, April 16, 2019. Offer valid Saturday, April 20, 2019. Customers must register for contest to be eligible. There is no fee to register. Contest wager is the $100,000 Guaranteed All-Stakes Pick 4 (Races 9 - 12) at Charles Town. Customers must hit contest wager to win a share of the 1 Million Points Prize. Bonus Points will be deposited by 5:00PM ET on Tuesday, April 23, 2019. Wagers that are refunded or canceled do not count toward this promotion. Participants must have an Xpressbet account in good standing to qualify for the promotion. Only wagers made through a participant’s Xpressbet account are eligible.